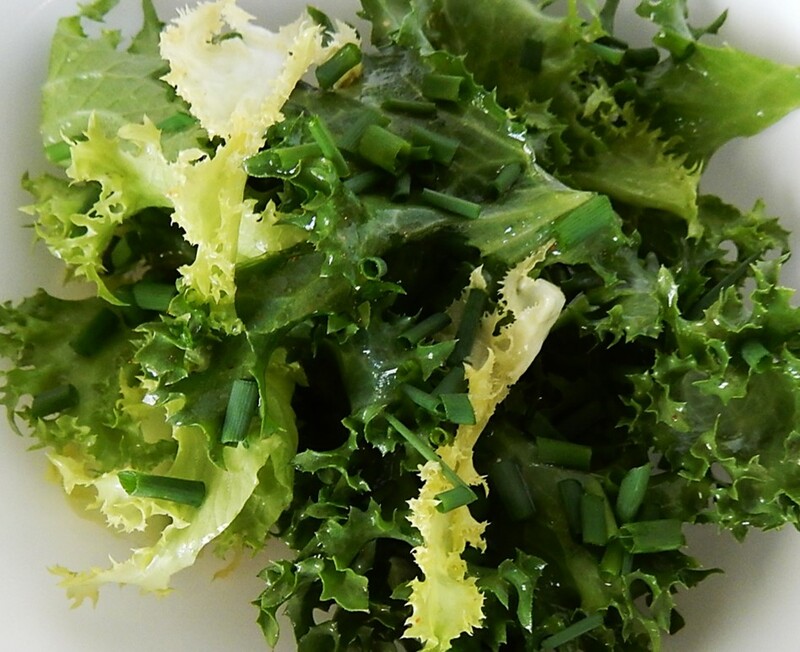 At no time have greens played such an important part in our diet as they do today. We are realizing and appreciating their beneficial effects on the system more than ever before. Containing, as they do, valuable mineral salts and special medicinal virtues, they should be used liberally, while they are in season. The tonic greens of spring correct the results of the heavy winter diet. Greens of every sort are held in high esteem for their purifying qualities–spinach, Brussels sprouts, kale, lettuce, cress, dandelion, sorrel, mustard greens, chicory, beet greens, horseradish, and parsley are examples. Each green is considered as possessing specific medicinal value, and all are aids in clearing the liver, blood and skin. Serving a variety of greens from day to day provides all the virtues possessed by the different ones. Americans are appreciating the homely garden greens more and more and are utilizing them in salads, soups, sauces, and as garnishings. In the these days of auto-intoxication, and other diseases, due to accumulated poisons in the body, it is well to make liberal use of nature’s cleansing agents. Water cress grows wild and may be found on streamlets. Like other greens it is an anti-scorbutic, palatable and wholesome. Dandelion greens are regarded as liver and blood purifiers. Lettuce contains an opium principle, is a laxative, introduces mineral matter and helps to provide an alkaline condition of the blood. The statement about lettuce containing an opium principle made no sense to me, so I googled it, and discovered that the white oozy liquid that emerges from lettuce stems when they are freshly cut looks similar to opium. This liquid was once considered to have medicinal properties. It used to be dried and was put into some patent medicines. It was believed to be a sedative and cough suppressant. Lol, that opium part make me stop to reread, I thought I was misreading it. Glad you googled it .. now I’m curious to know if it did work as a cough suppressant. I’m glad you googled it, too! Fascinating! I’m a complete sucker for salads and all their likely, and unlikely, ingredients. It’s interesting how the ingredients included in salads have really expanded across the years. I’m often surprised by some of the ingredients in lovely salads served at some very nice restaurant. This seems like one of those ‘everything old is new again’ moments! How true! One difference between then and now is that many salads were considered much more of a seasonal food back then than what they are now. People eagerly anticipated the availability of the first greens of the season. What they focused on is interesting. We are all about vitamins and fiber now, though they said the greens would help after a heavy winter diet. My mother always considered dandelion greens to be a spring tonic. A hundred years ago, the foods that people ate during the winter may not have provided sufficient amounts of some vitamins and minerals – so their bodies really craved the arrival of fresh greens as spring arrived. I find it amazing how people back then often didn’t fully understand the scientific reasons behind why some foods were healthy – yet they somehow knew what was good for them. Maybe if my mother had this, she could have gotten me to eat salads as a kid. Of course, if we’d had more than iceberg lettuce, I might have been more interested. Now that I think about it, iceberg probably was our “winter” lettuce — more shippable than fresh greens, and more often grown. I remember that we always had leaf lettuce from the garden during the spring and early summer when I was a child. Back then, I didn’t particularly care for leaf lettuce – I guess that I had to grow up to appreciate it. Wouldn’t it be fun to put two nutritionists together, one from today and one from a hundred years ago? I realize you are presenting the older view, but I wouldn’t know enough to discuss today’s beliefs. That would be so much fun, if only we had time machines. My gut feeling is that there would be lots of differences in the terminology and explanations that the two nutritionists used – yet that they’d find a lot of common ground when it came to agreeing on what was healthy eating. You are right. I was thinking they would disagree, but the basic views of healthy eating would be similar. There are just lots of fads in between. I’m often amazed by some of the things I find in hundred-year-old books and magazines. What a fascinating post! A reminder to incorporate more greens into our diets. I was just contemplating what greens to have for dinner today. I’m curious about what you decided. There are so many delicious options. Great post! I just love your blog. I have a lot of fun doing this blog, and it’s wonderful to hear that you enjoy it. That’s so interesting. I didn’t know they’d realized the benefits of greens back then. I’m not a big fan of lettuce, but I plan to study it more closely next time I have it. In my opinion, some types are lettuce are more interesting than others. I’m currently looking forward to getting some of the tasty leaf lettuces that will be at the farmers’ market in a month or two. Mom ate dandelion greens all her life and never had cholesterol troubles. We always ate lettuce from the garden on sandwiches. Today I like the teeny greens I grow in my sprouters. My family often ate dandelion in the spring when I was a child. At the time, I hated it. But my tastes have changed over the years, and it is now one of my favorite greens. Each spring my husband and I gather dandelion from the far corners of our yard – and I love it with bacon dressing. 🙂 I find it fascinating that they thought lettuce had drug-like qualities back then. I knew that greens are good for us, but I never thought of lettuce having an opium effect! Glad that one turned out to be wrong. I agree – it’s so important to eat healthy foods . There’s an awfully lot of junk food around these days to tempt us. When I was a child, except for iceberg lettuce, greens seemed more like a seasonal food in my family.